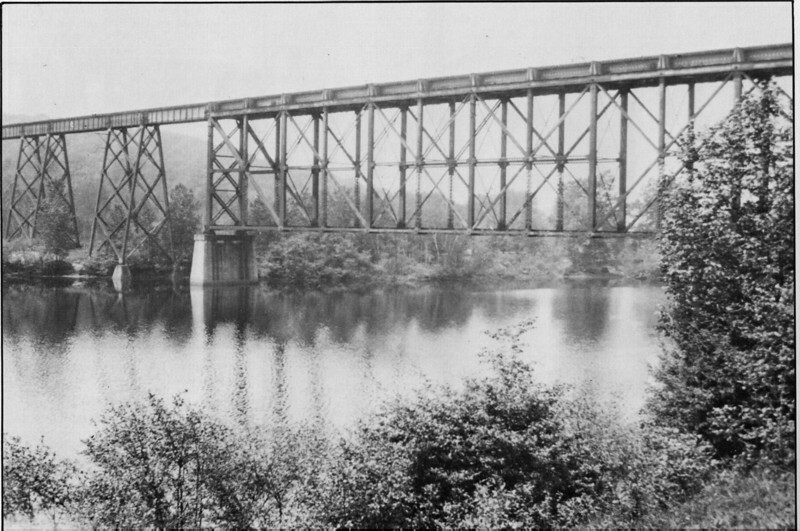 Largest bridge on the never-used Hampden Railroad. Built to connect the New York, New Haven & Hartford and Boston & Maine systems during a brief period of common ownership, the line was never used and was sold for scrap barely 10 years after being built. Concrete footings and abutments remain today.